The heat of summer makes it a challenge for pizzerias to be more creative to serve “cooler” alternatives for customers. In the summer, we head outdoors for picnics and barbecues. We look for shade where we can relax while enjoying hot dogs, salads, fruit and a cold beverage. We go to the ballgame, the beach and the park to enjoy the warm sunshine. 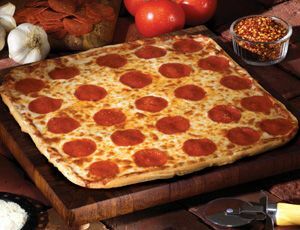 The biggest days for pizza are: Super Bowl Sunday, New Year’s Eve, Halloween, the night before Thanksgiving, and New Year’s Day. There is not a summer day or night among them, although every Saturday night is the best occasion for pizza. So what’s a pizza operator to do on a hot summer day? Shutter up and head for the beach? Or hunker down and come up with some fun, cool marketing ideas. Beer and Pizza – It just so happens that three of the best days of the year for beer sales are Memorial Day, Labor Day and Fourth of July. 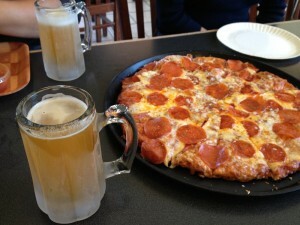 And what is better than an ice cold beer and a slice? So take advantage of this popular combination and create a Summer Pizza and Beer Night. Talk to your beer distributor to see if there’s signage or promotional dollars. Maybe even come up with a summer pizza flavor that incorporates spicy pepperoni and cool pineapple or fresh tomatoes. Create a Summer Menu – The hot summers in Italy and other Mediterranean countries have encouraged restaurateurs to include lighter fare on their menus, such as Antipasto, stuffed grape leaves and olives, and a variety of salads and fruit. Be creative and try to use ingredients you already stock, and make sure to promote these seasonal menu ideas through social media and in-store advertising. Giveaways – Buy baseball tickets and give them away to customers via contests and promotions. Or become more creative by tapping into summer activities like camping or the beach and have drawings for tents, sleeping bags and coolers or offer free passes to a theme park. Turn summer into a season of fun and drive volume by promoting contests. The Cold Sandwich – Italian Subs are perfect on a hot day. Liguria makes a variety of deli meats including Genoa Salami, Hard Salami, Deli Pepperoni and Capicola. Create your own signature sub sandwich and add it to a picnic basket idea that customers can take on their next outing. Host Your Own BBQ – Turn Saturday night into family barbecue night. 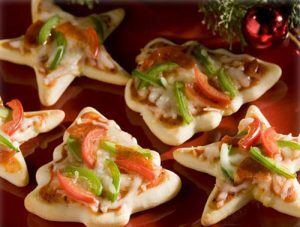 If possible, add menu items like barbecued chicken and cheeseburgers, or take it a step further and create a “cheese burger” pizza or BBQ chicken pizza. BBQ pizzas are fun and delicious. Make sure to promote the Saturday night heavily – perhaps bring in a live band and turn the restaurant into a weekly summertime destination. Whatever methods you choose, take advantage of summer activities and pastimes to promote your business and drive sales.